Turkish Foreign Minister Mevlut Cavusoglu has blasted Berlin for letting Kurdish groups the PKK and DHKP-C operate in Germany. The official accused Berlin of “supporting terrorist organizations” and of treating Turkey as inferior. “The DHKP-C and PKK are carrying out activities in Germany, but they support those because they are against Turkey. Germany is the country that supports terrorist organizations against Turkey the most,” Cavusoglu told a news conference in Ankara, as cited by Reuters. German Foreign Minister Frank-Walter Steinmeier hit back at Cavusoglu’s claims. "The PKK and other extremist parties are banned as terrorist groups here. They are criminally prosecuted," he said, as quoted by Reuters. 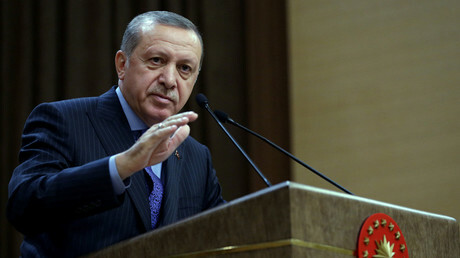 "That is why I cannot understand the comments made about Germany today in Turkey. Repeating the claims does not make them right." His statement comes a day before an annual EU assessment on Turkey’s progress with meeting criteria for accession to the bloc and being granted visa-free travel. On Tuesday, European Commission President Jean-Claude Juncker warned Erdogan that he would be held responsible if Ankara failed to meet all the conditions necessary for visa-free travel. “Everything the Turkish authorities are doing today leads me to believe that in the end Turkey does not want to be ready to respect European standards,” Juncker said, as quoted by Reuters. In a separate statement, the EU urged Turkey to continue political dialogue with the opposition and cited “extremely worrying” developments in the country, including a crackdown on the media and the arrests of Kurdish lawmakers last week. 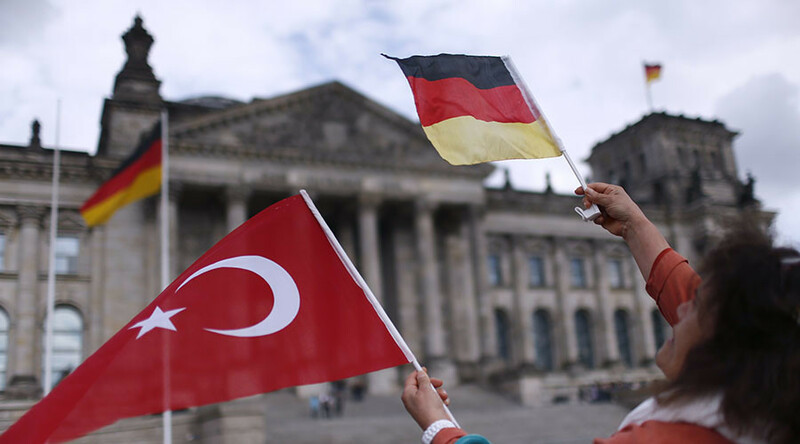 Berlin has been a vocal critic of Ankara’s policies, and last week German officials made a series of strong comments regarding the Turkish government’s crackdown on the national media. Last Wednesday, German Chancellor Angela Merkel said it was “highly alarming” that “freedom of the press and speech are being restricted [in Turkey] again and again,” and provided the example of the arrest of at least 13 editors and editors-in-chief of the Cumhuriyet newspaper. A day earlier, German Justice Minister Heiko Maas said that Berlin would not extradite suspects to Turkey if they were facing political charges, with the only exception being evidence of “classic criminal activity” presented by Ankara, according to Reuters. On the same day, the German minister of state for Europe, Michael Roth, said that journalists, politicians and scientists who fear persecution from Ankara were welcome to apply for asylum in Germany. “Germany is a cosmopolitan country and is open to all politically persecuted people. They can apply for asylum in Germany,” Roth told newspaper Die Welt.